Heat Shrinkable Boots for 2, 3 and 4 way cable breakouts. Provides strain relief & Mechanical protection. 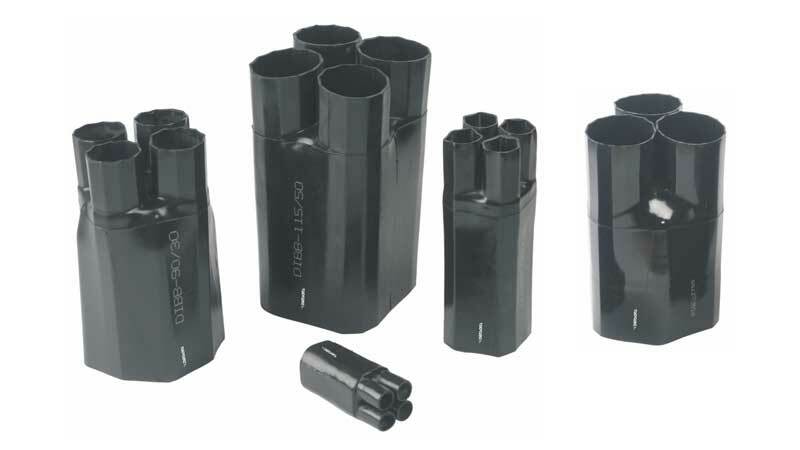 Seals and protects multi-conductor cable and conduit breakouts. Heat Shrinkable Boots seal and protect multi-conductor cable and conduit breakouts.